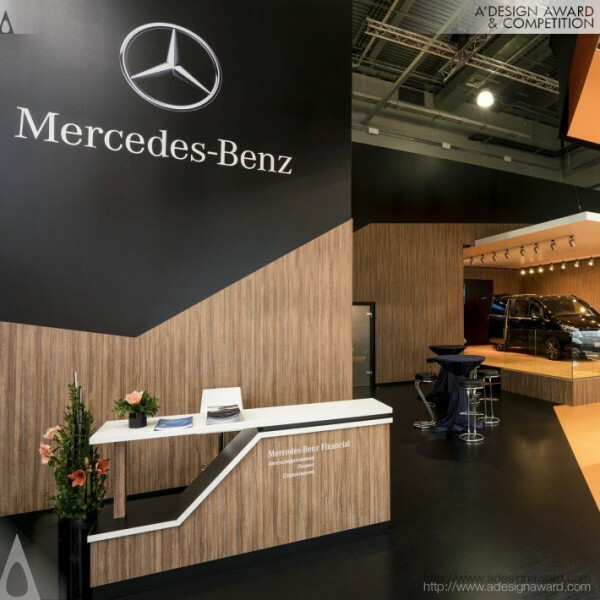 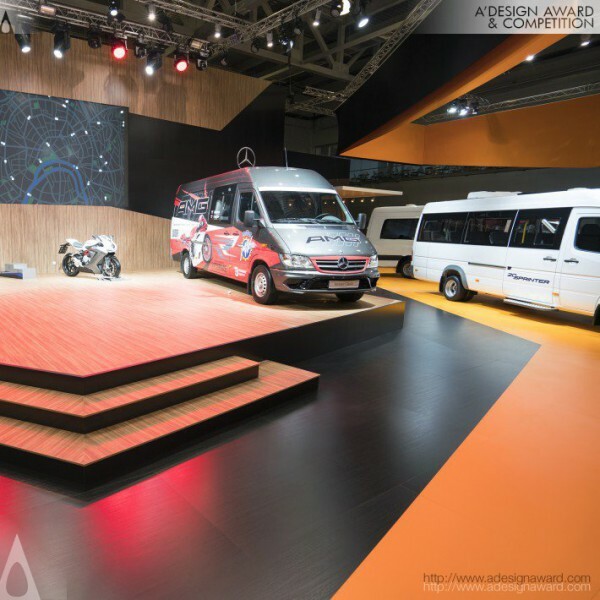 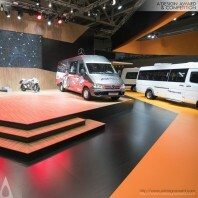 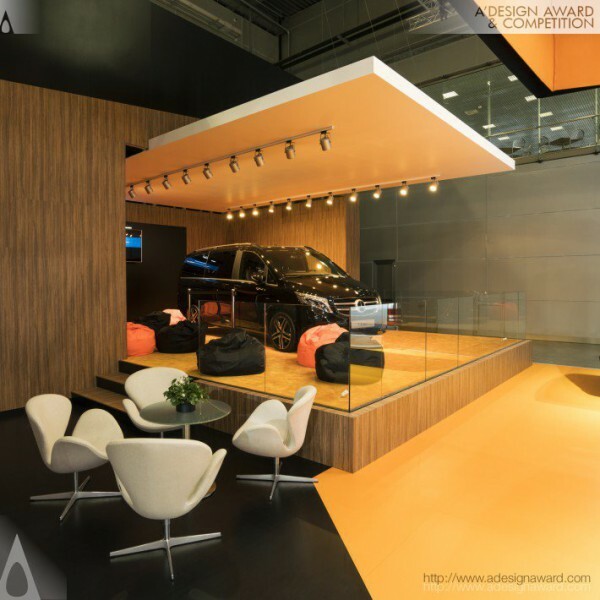 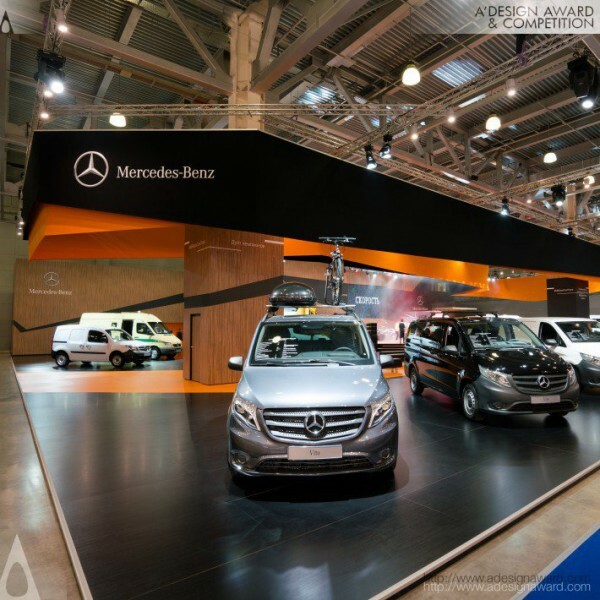 Viktor Bilak, the designer of the highlighted design Viktor Bilak's Mercedes-Benz Russia SAO Exhibition Design explains, The main idea of aesthetic conception of the Mercedes-Benz Russia SAO stand - the image of twisting road. 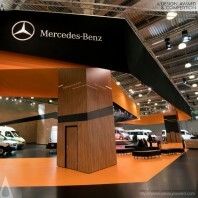 It is expressed by broken lines of track on the floor, on the ceiling, on the walls of the booth. 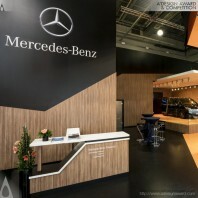 It is conceptually integrates all parts of the both and organize the trajectory for walking of visitors on the stand..